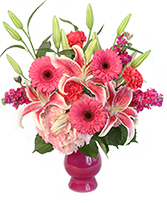 Send your special someone 3 (4.5 oz.) 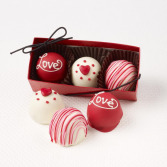 rich Fudge Love Truffle, decorated for Valentine's Day. 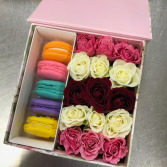 Imagine your loved one opening a floral box filled with the yummy light flavors of rainbow macaroons. 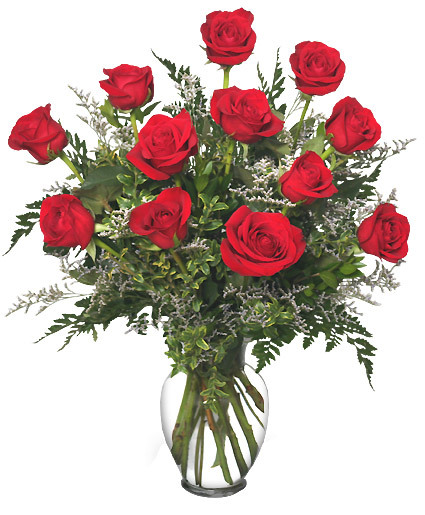 The fragrant smell of fresh spray roses will capture the message: your my sweet love.